Chris Andersen has written a classic post about how the new systems of mankind - Google, Wikipedia and Blogs - follow the probabilistic principles wherein information may not accurate always at the micro level, but as the volume grows "it is likely to become more and more accurate" . Do visit the link. Nick Carr makes the humanist case against Chris by trying to build a hypothetical case that fascism is closely linked with the "collective wisdom" which these systems rely on. He even quoted science fiction writer Simon Ings: "When our machines overtook us, too complex and efficient for us to control, they did it so fast and so smoothly and so usefully, only a fool or a prophet would have dared complain." Probability and its ubiquity in nature is nothing new. Niels Bohr gave the probabilistic structure of the atom more than 80 years ago and even 150 year old Darwinian theories were based on similar thoughts and hence should be no surprise that the systems mankind uses to manage its own information and knowledge are probabilistic in nature [I am surprised why this didn't happen long ago]. Inopportunely these systems are often described and assumed as 'intelligent' by themselves. Quoting Chris "now we're depending more and more on systems where nobody's in charge; the intelligence is simply emergent". This leads thinkers (naive in mathematics, statistics and electronics) to believe that these systems have an inbuilt intelligence which can some day overpower mankind and human intelligence as a whole. Clearly, all such fears are unfounded. All systems - whether probabilistic or deterministic, electronic or neuronic, automatic or manual - are ultimately fed, and run by Humans. The information on Wikipedia was not written by machines, neither does Google give you links to articles generated by gadgets. Humans are the soul of the probabilistic, automated, neuronic world which is emerging as a result of interactions between humans and systems. What also comes out of Chris's explanation of these systems is that systems like the Wikipedia - clearly being probabilistic - cannot be considered absolute and "you need to take any single result with a grain of salt". Further, these systems become more and more accurate only when the number of contributors to them increases. All this points to a conclusion that none of these systems can exist without human intelligence being a part and parcel of them. It is Human intelligence which will ultimately decide whether the singular entry on Wikipedia is authentic, correct. The macro level probabilistic correctness of these systems will never replace the ability of human brain to decide between right and wrong, correct and incorrect at the micro level. Further, deterministic systems like Britannica Encyclopedia or Industry Journals will never cease - they will remain the sources of accurate micro level information. 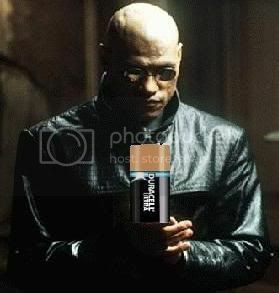 Clearly, the human body can never be reduced to the status of a battery cell [as depicted in The Matrix]. A classic comment on Chris's post was this. I always think the best example of "Wisdom of Crowds" is the "Ask the audience" part of Who Wants to be a Millionaire. The crowd is almost never wrong. The people who don't know the answer make a random guess, but all the random guesses cancel each other out and you're left with the people who really DO know the answer. More on Wikipedia's accuracy measBritannicast the Brittanica here. 1 Comments to " Probability and the Battery Cell "